Atlas Building Company delivers high-quality commercial construction projects that exceed our clients’ expectations in the areas of preconstruction services, construction management, and design/build. Our mix of public and private projects is growing quickly – check out our latest projects. As a Construction Manager (CM), we are more than a contractor; we are your business partner. 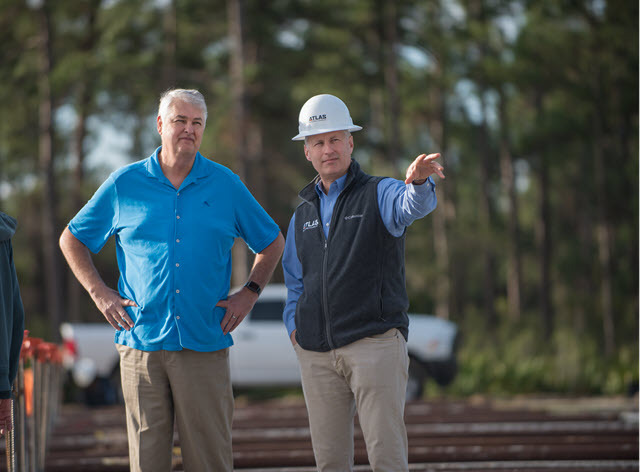 When owners have an initial project idea, they seek our Construction Management services to help them make key decisions from concept to completion. Our extensive experience and knowledge of the construction industry makes us an ideal partner for construction management, and we excel in completing projects on time and within budget. As a design-builder, we get involved first–many times even before an architect is retained. From sketch concepts, we can begin developing accurate estimates, which get more detailed through drawing stages and allow for constant material changes, avoiding the future need for costly change orders or re-bidding. The evolution of green building is one of the greatest advancements in the construction industry. With a LEED AP on staff, we are able to design and construct our customers’ projects with sustainability in mind.